Want to see the Red Sox win their first World Series at Fenway Park since the days of Babe Ruth in 1918? You may have to sell a kidney. 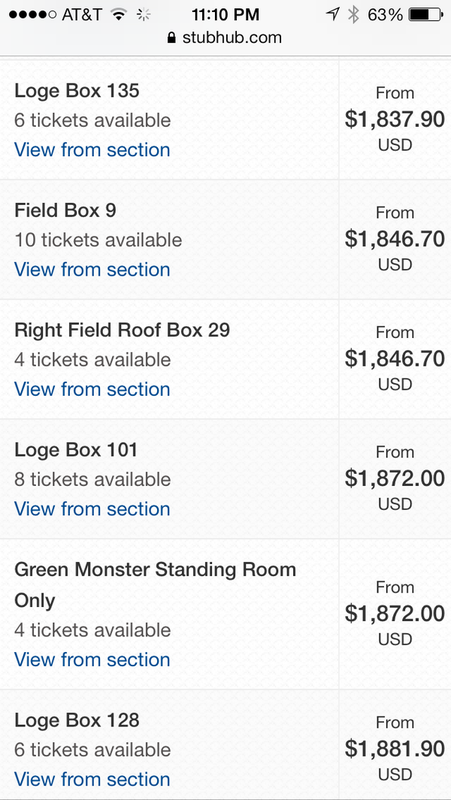 Tickets for Game 6 are the most expensive tickets in Boston sports history. According to TiqIQ, a ticket tracking company, the average list price on the resale market for a ticket to Wednesday night's game was $1,868. Bleacher seats were up to $1100. The previous record price for baseball tickets tracked by TiqIQ was Game 2 of the 2010 World Series. 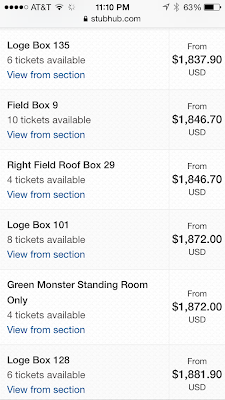 Prices averaged $1,787 for that game as the San Francisco Giants hosted the Texas Rangers. Jim Holzman, the CEO of Ace tickets in Boston, said prices began to shoot up last night with the average price for Game 6 going up $50 an inning over the course of Game 5. One die hard member of Red Sox Nation shelled out $24,000 Monday for a pair of tickets in the first row dugout box between home plate and the on-deck circle. No word on whether or not it was Batman - Ben Affleck. 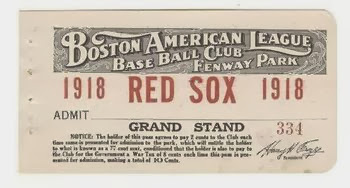 The last time the Sox won the World Series at Fenway Park was September 11th, 1918 against the Chicago Cubs. Only 15,238 fans showed up that day and tickets cost just $1.65.